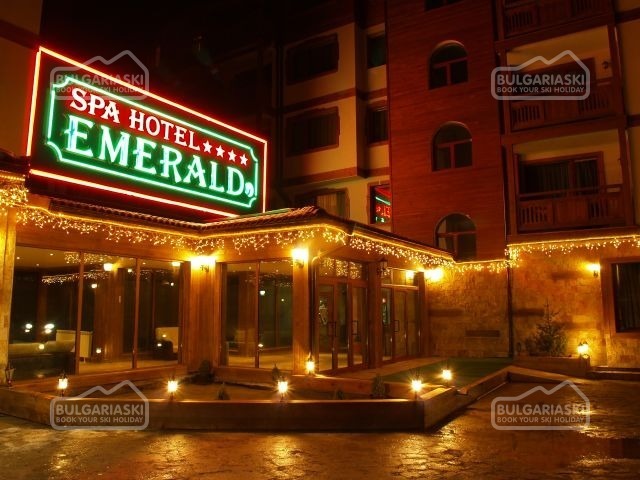 Bansko, Borovets and Pamporovo are the three majour resorts in Bulgaria. However several hidden gems also provide beautiful mountain scenery and basic ski equipment. 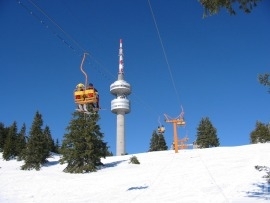 The largest and most developed ski resorts in Bulgaria are Bansko, Borovets and Pamporovo. Uzana site is a real discovery. A place huddled among venerable oak forests, known as the geographic enter of Bulgaria just 22 kilometers away from the town of Gabrovo. The small and modest mark that shows the real center of the country is a real attraction for the tourists in this small paradise site. The small hotel- “Geographic center” is full of tourists all through the year. The tourists can also stay at the other 6-7 hotels scattered in the region and providing good conditions for relax among the quiet and calm atmosphere of the mountain. Read more about Uzana here. Berkovitsa One of the future plans for development of winter tourism in Bulgaria belongs to the cozy and picturesque municipal of Bercovitsa. It is now a fact that the western parts of the Balkan mountain range are trying to catch up with the other winter resorts. The mayor of the town announced that the priority development of the tourism is written in the strategy of Berkovitsa municipal. According to the plans a cabin lift will be constructed from Berkovitsa to Kom zone which is about 16 kilometers east from the town. 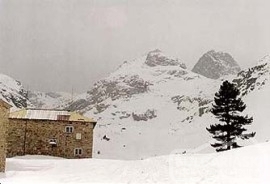 At the moment the zone offers one ski piste with a drug- lift and three tourism bases with a total number of 100 beds. The plans of the municipal are to make the piste twice as large and to recover some old pistes so that the total length of the ski pistes will become 15- 20 kilometers. Read more about the resort here. Just got back from Bansko what a fabulous week. A party of 6 which includes our daughter's aged 20-24 and the night life for them was great. No long queues, food good and we cannot wait for next year! Try the delicious food of snackbar JOY in front of the gondola! They serve western and traditional Bulgarian food and make delicious pizzas. When the sun is shining and you sit with a cold beer on their terrace there is no better place in Borovets! This year we went to Bansko, having twice previously been to Borovets and have to say it was very good. Stayed in Hotel Lion which was very good and the food was better than I'd had in Borovets. I'd recommend going later in the season as we had some friends go in mid Feb and the queues were horrendous for the only gondola up to the main ski area whereas we never had to wait. Ski equipment is all newer and they did a great job of piste bashing each night. Just home from a 2nd year in Borovets skiing and another fab time we had me my hubby my cousin and her boyfriend his brother and wife also (beginners) me and my cousin and our fellas had the same instructor as last year George Yarev fantastic he is totally patient kind hearted and fun. Snow was not as good as last year but we learned on new type of snow it was tough but still enjoyable. Stayed in Samokov hotel which is all u need bed and decent food bar is cosy hot chocolate and cocktails are great! Cant wait to get back next year !!! And as last year i was crying on way home loved it truly totally recommend it and of course our instructor Georgi. 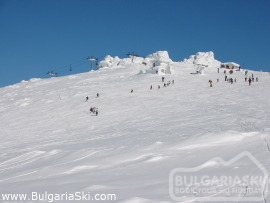 I have just come back front my first ski holiday in Bulgaria at Pamporovo resort. I prepared by spending 4 days at Escape, but nothing could have prepared me for the fitness I needed to spend a week skiing at this wonderful resort. I have learned so much, enjoyed great scenery and ski runs. The snow and facilities are great and the Pamporovo team of instructors are highly competent and sensitive to each skiers needs. The "King" gave me great confidence and by the end of the week my fitness levels had improved to allow me to enjoy without the pain. Great value for money and a new passion for me at 55 years old, lifes full of surprises! Went to Bansko last week in Jan 10...Fantastic stayed at the Perun (opposite the Loin) halfboard - the outdoor pool was a god send (really warm) and great for kids, they couldn't get enough of the old "snow angles" before leaping back in. The food at the hotel was good and have no complaints, the buffet style works very well the variation at breakfast and dinner meant there was nothing the same, and it was hot. 3 Lev for a large beer and 5 for a wine. Shuttle bus runs every 15 mins which we always caught at 9 am. Cues at the gondola were 10-15 min though we were always at the top station by 10 am ready for lessons. Instructors (Boris & Zlatin) were fab. Looks like most of the construction work has now finished (just a couple of shells left to be seen). Snow cover was excellent and the runs were well groomed. 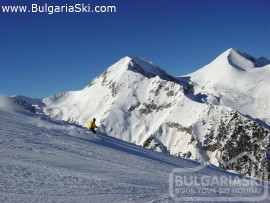 Please, post a comment on Bulgaria as a winter holiday destination.